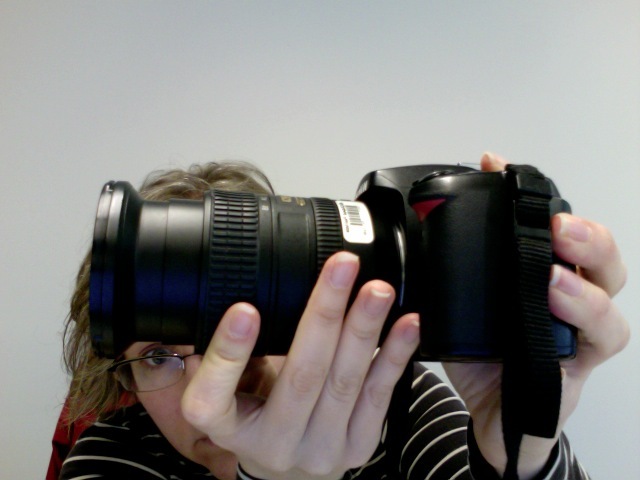 As I'm sure I've told you, I rented a fancy lens to play with for this wedding I'm headed to in OH. Since my trip spills over the weekend a little it was more economical to rent the thing for a whole week rather than just for the time I was going to be away. Plus, I get to make some mistakes before I leave rather than make them while I'm trying to get priceless one-of-a-kind shots at the wedding festivities. I am already having so much fun with it that I wish it were rent to own (incidentally the first question my mother asked about the rental). I feel like asking anyone who offers to, I don't know, buy me a cup of coffee for the next year, "Would you mind putting that money in the lens fund instead? Please?" There's one used right now at B&H (didn't know that before I rented) and it's $529 + tax. New they're between $700 and $800. But so much fun! Have I mentioned the fun? I'll try to upload you a shot with this lens later today. Trust me, though, big fun. slurp. cant wait to see what you capture with this beast! I had no idea you could rent lenses. I'll contribute to your lens fund. 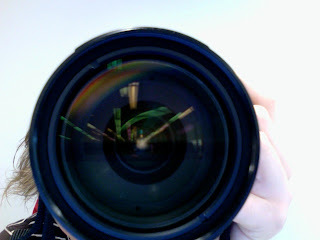 On Tues after I return this lens I may go to B&H and see if I can buy the used one. I'm pretty freaking excited by the whole thing. I've never thought about renting a lens. This is a totally awesome idea. Now I need another totally awesome idea for some photos to justify renting the lens.